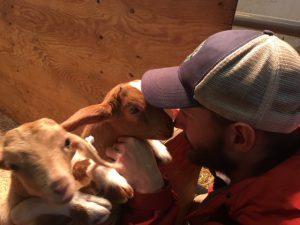 Nick’s Independent Trip to McEnroe Organic Farm! Hello everyone! 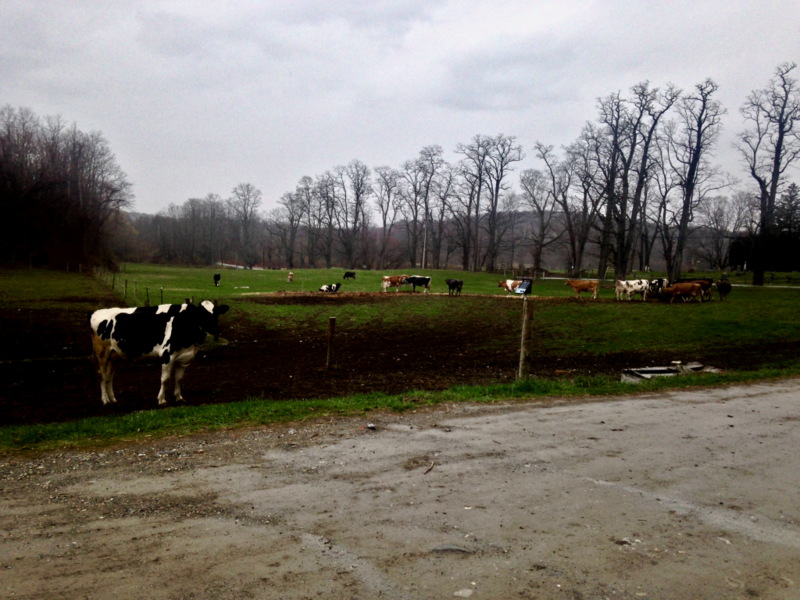 For my independent trip I visited McEnroe Farm in Millerton, NY. 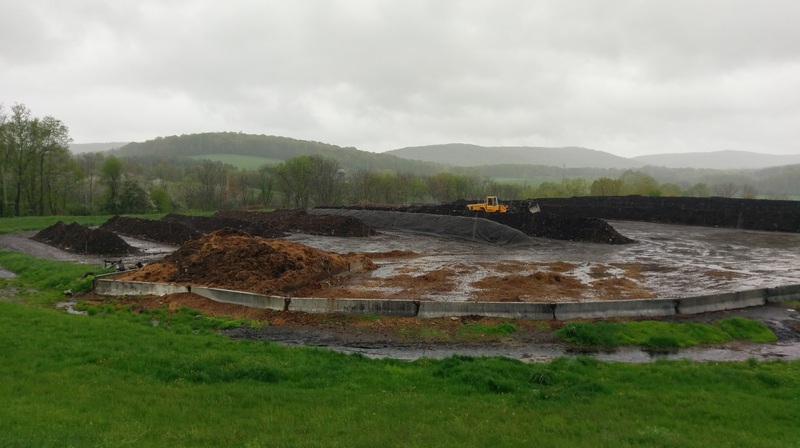 Only a 45 minute drive away from Vassar, McEnroe farms is perhaps best known as the site that all of Vassar’s composting goes to be turned into delicious, rich, organic soil! But the farm also grows organic fruits, produce, herbs, seeds, and feed for the livestock they have. 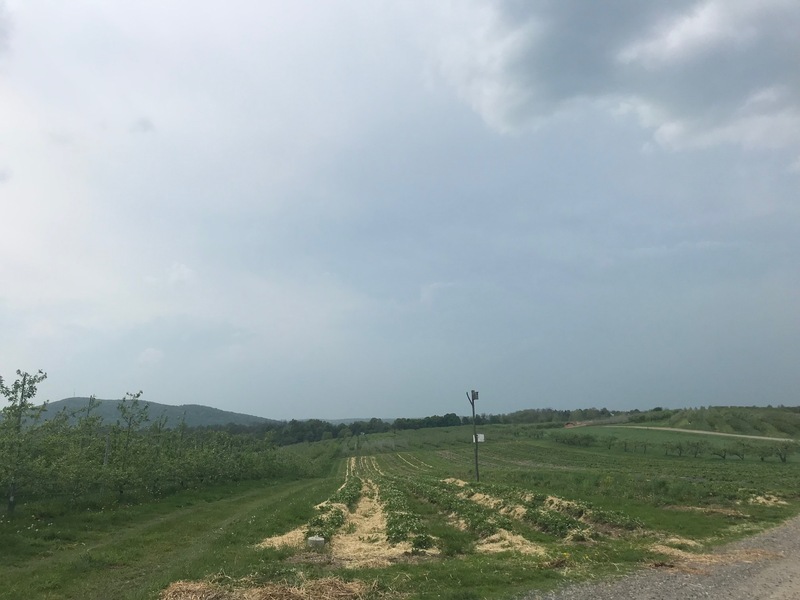 I wanted to visit McEnroe because I thought it’d be cool to learn about a farm fulfilling an interesting and really important job for the Hudson Valley network of farms — turning food waste, manure, and leaves into soil to be used by farmers and growers all over the region! Here’s what I learned. First, here’s some history. 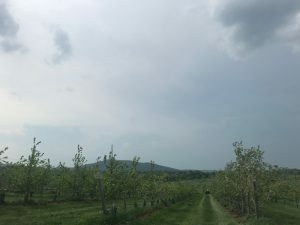 McEnroe Farm is one of NY State’s oldest organic-certified farms. The farm was originally a small, family-run dairy operation, starting in 1953! 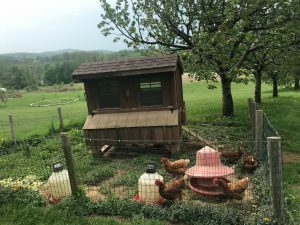 Throughout the years the farm underwent a lot of transition, until in 2000 it began its now wildly successful composting program. 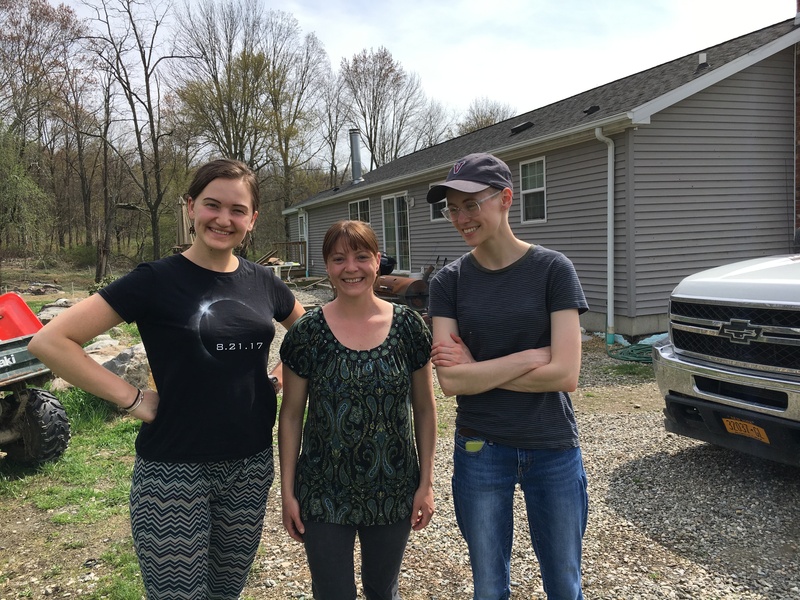 Seven years later, the farm began a really cool education program to allow both kids and adults to come in, get their hands dirty, and learn about farming and the wonder that is composting! 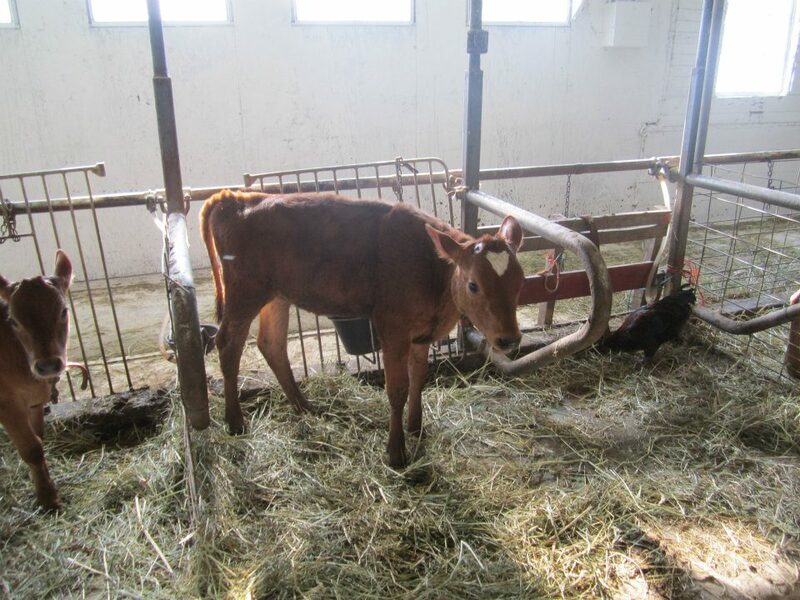 Today, the farm grows a wide variety of plants, raises cattle for beef, as well as poultry, pigs, and sheep. Ok, let’s talk composting. I’ve always been a huge fan of composting myself, though I definitely could’ve been better at it while in college. My favorite thing about composting is that you can turn almost any — almost ANY — organic material into beautiful, dark, and rich soil ripe for growing healthy plants. Last year I tried my hand at vermicomposting – composting with worms – which was really fun, especially since I got the chance to order 500 words in the mail. In only one semester, my worms transformed my pretty meager and altogether unhealthy food scraps into like 7 inches of rich black soil! So.. you can imagine my excitement when I arrived at the McEnroe composting arena and saw THIS: That’s right! We’re talking hundreds upon hundreds upon hundreds of pounds of beautiful black soil. 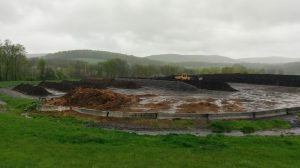 McEnroe takes composting inputs from dozens of different farms, institutions, and organizations (as well as their own significant amount of organic waste) to create this stuff. 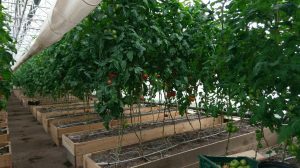 They use the majority of it for their own growing purposes – they have multiple greenhouses and cold-frames, as well as many acres of growing fields – so they need a lot of soil. 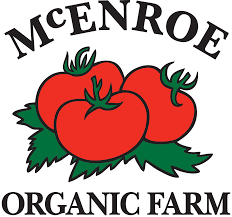 But for over two decades now, McEnroe has also sold their compost commercially to anything from landscaping businesses, parks, other farms, gardens, and green rooftops. Greenhouse-grown tomatoes growing out of soil made on-site through the composting operation! I found the McEnroe Farm model really interesting, especially as it compares to the other farms we visited this semester. 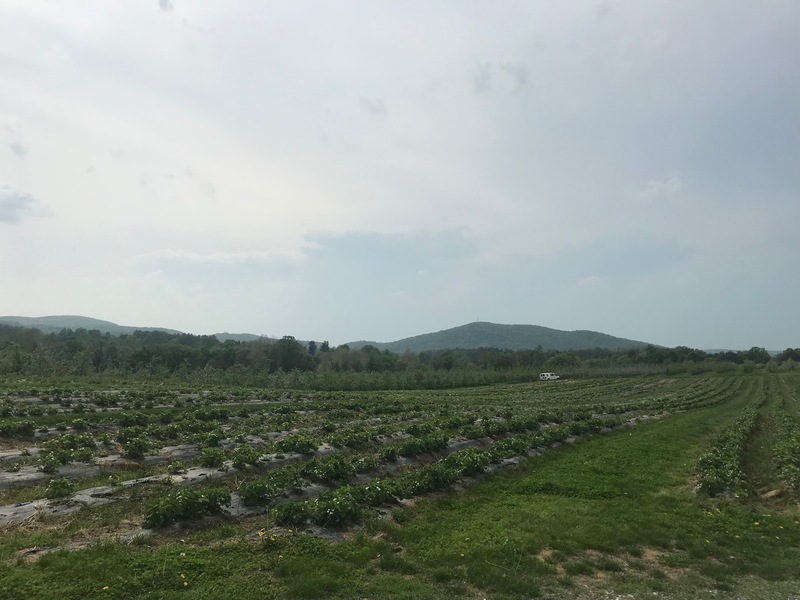 McEnroe is a big farm – it encompasses over 1,110 acres of land – so it dwarfs most of the smaller-scale farms that we visited. This relatively larger scale definitely affords this farm some things that other, smaller farms can’t make work. 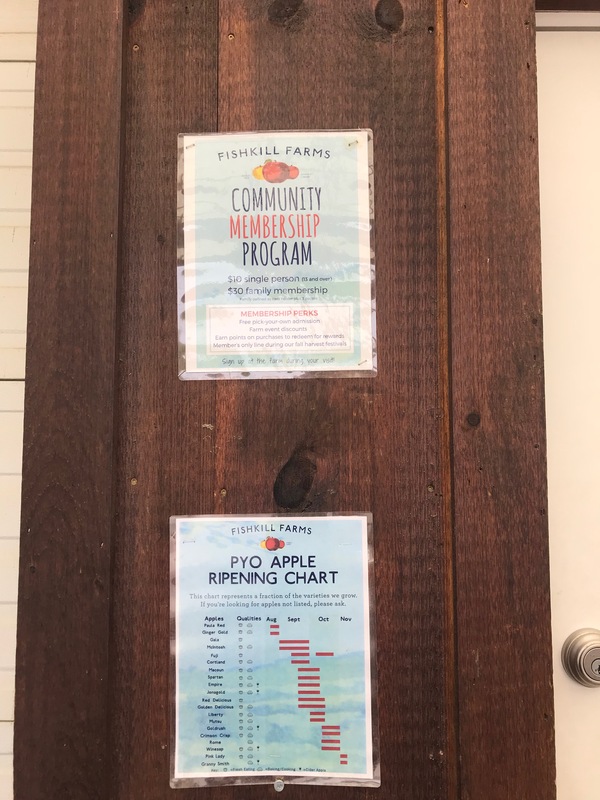 McEnroe has a market open every weekday where they can sell their produce, whereas many of the smaller farms depend on dedicated customers through programs like a season-long CSA program to sustain their operations. 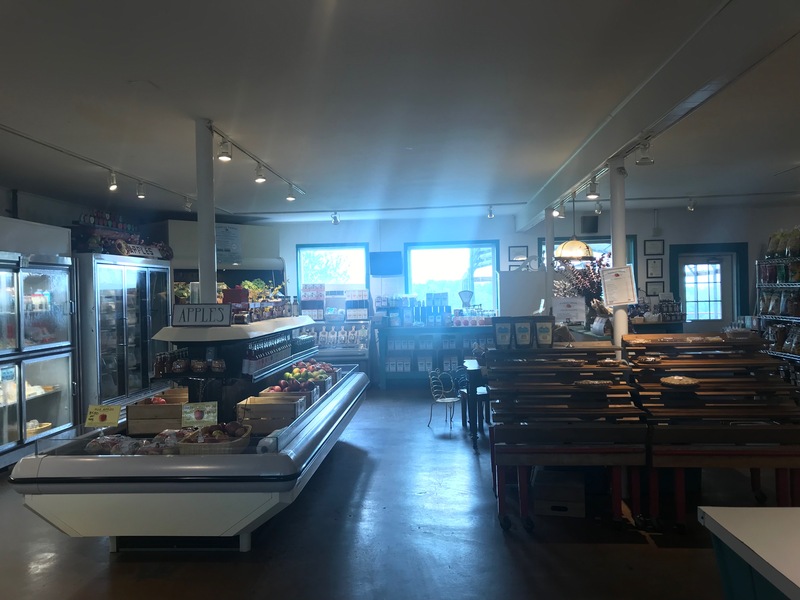 Additionally, McEnroe has an on-site kitchen where you can buy value-added products either to eat at the farm or to take home with you. These are things that smaller-scale farms can’t really afford to do (at least from what I know from visiting a handful this semester), but the larger scope of McEnroe allows for some more expensive forms of diversifying their sales and getting new customers. 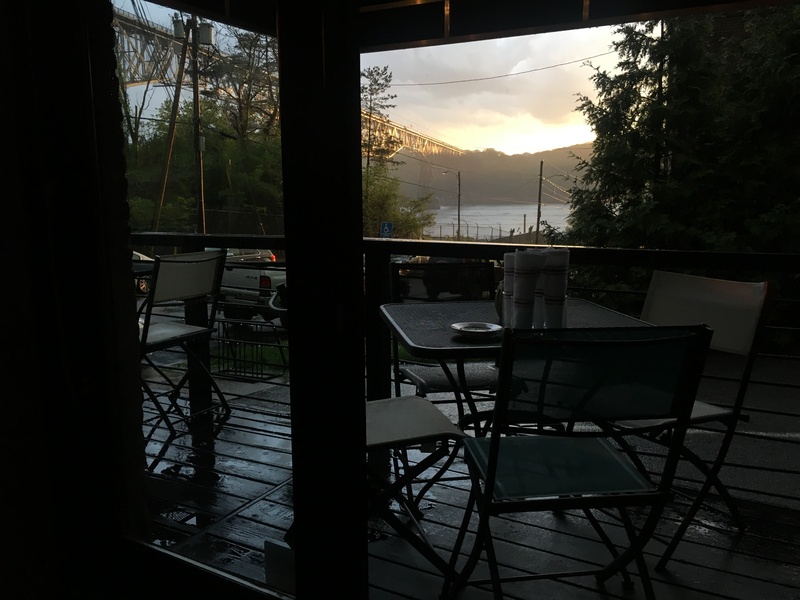 Visiting McEnroe was a really great experience, and I highly recommend it. I’d never visited a farm with such a large and dedicated composting operation, and it was really cool to see a farm not only growing food and livestock, but also making healthy soil for other producers in the region. For more information on McEnroe Farm, click here! It was the middle of study-week and one of my best friends was desperately trying to procrastinate. Conveniently enough for me, he had a car and I still had to go somewhere for my independent field trip!I While I have loved the farms that our class has visited throughout the semseter, I realized that I had not actually consumed any of the products produced in these farms (except for that one time in class ). 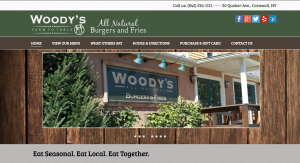 I Googled Farm-to-Table restaurants and found that there was a burger joint in Cornwall that. My friends had always wanted to visit Storm King State Park, so when I found out that this restaurant was right next to it, we just had to go. While the manager of the restaurant wasn’t working while I visited, I did get to talk to some of the waiters about what Woody’s meant to them. 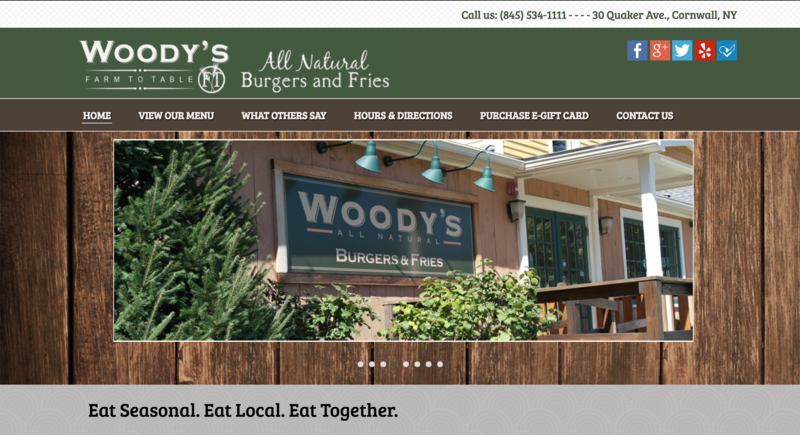 I had just eaten their signature “All Natural 6oz Burger.” While delicious, I can’t say that it tasted particularly unique. 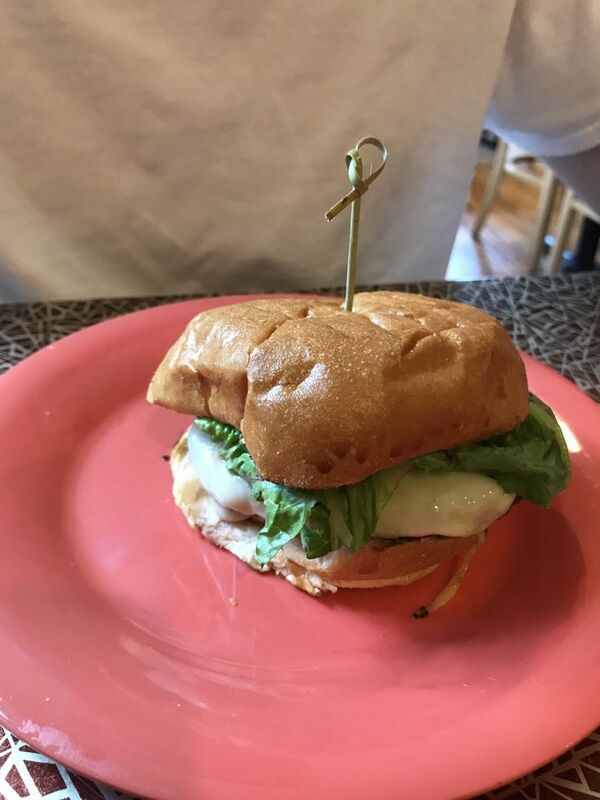 My perception changed, however, when Jeff (my waiter) told me that all of the meat used in the burger had been produced by co-op farms in Maine. It certainly came as a surprise to me to find out that this sort of farm-to-table operation was operating on an inter-state level. 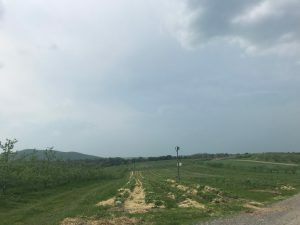 Why not just use a farm in the Hudson Valley? Jeff did not know what to say when I asked him. 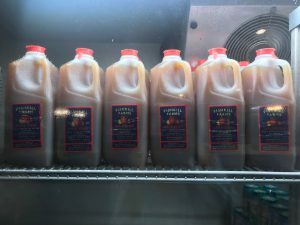 Fishkill Farms is a 270 acre apple and vegetable farm in Fishkill. It started over 100 years ago in 1913 and has been under the Morgenthau family for three generations. The farm prides itself in growing organic vegetables and fruit that is eco-certified. Furthermore, its produce can be found in the year-round farm store and farmer’s markets in the Hudson Valley and New York City. 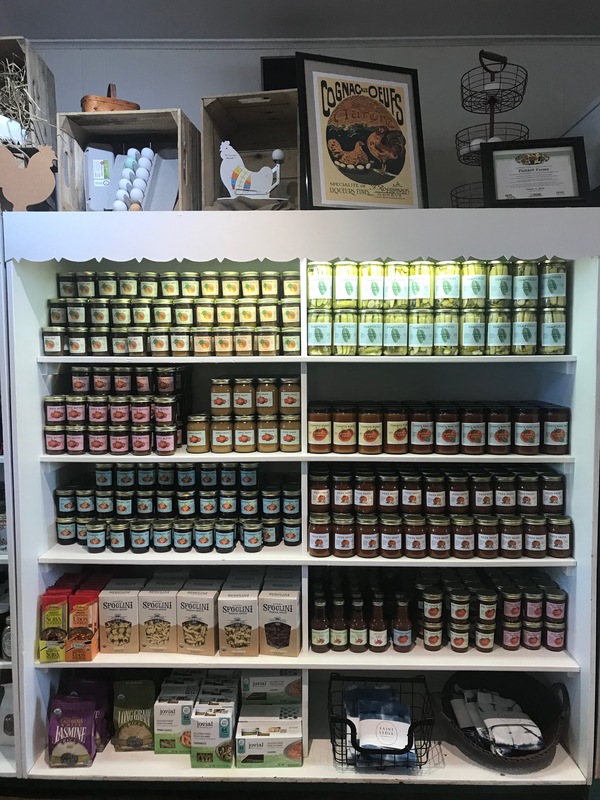 The Fishkill Farms store consists of a diverse variety of products – from its own produce of apples, vegetables, potatoes, and eggs, to their value-added and processed fresh jams, butters, and sauces from their produce. 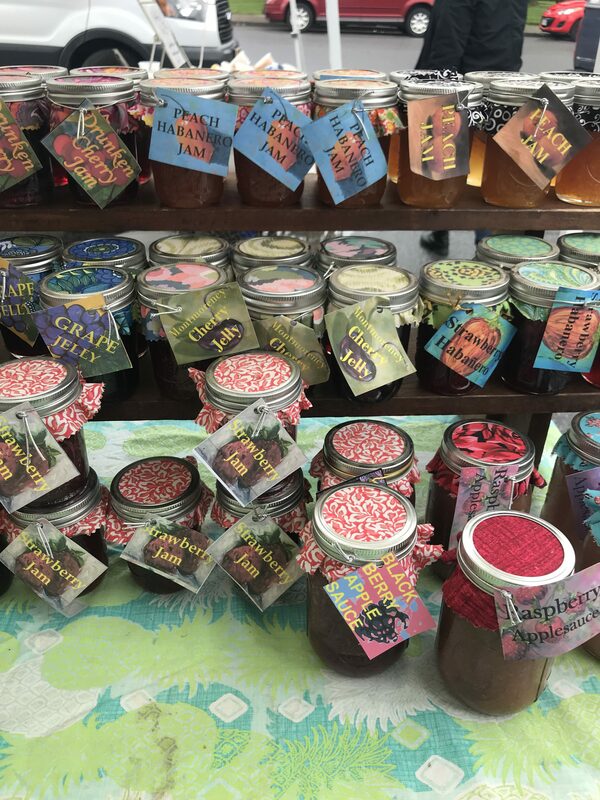 The farm store’s jams are quite pricey at $8 for a jar. They also have ready-to-eat products of apple cider donuts, pies, coffee, hot chocolate and Zoe’s Ice Cream (!!). According to the farm store salesperson, Fishkill Farms sends its products to another place for processing, but it intends on creating a processing site on the farm itself. The farm store is also host to other local brands and products such as candles, soaps, seeds, ciders, cookbooks, and even dog treats. Most of these are household or farming-related items and attune to the overall good-food-good-home family atmosphere. The salesperson mentioned that people from New York City often visit, and perhaps they bring these products home as souvenirs or gifts. 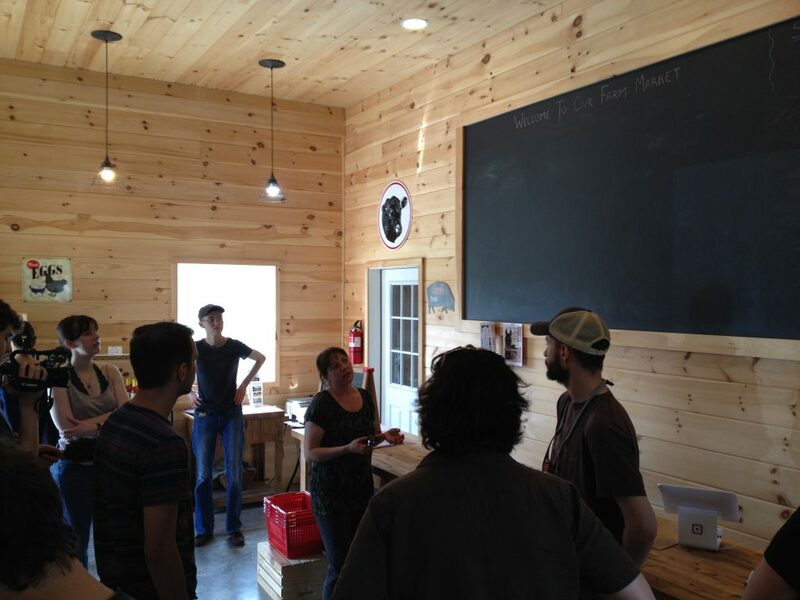 The farm store is not the only evidence of the family-friendly attractive ambience Fishkill Farms wants to create. 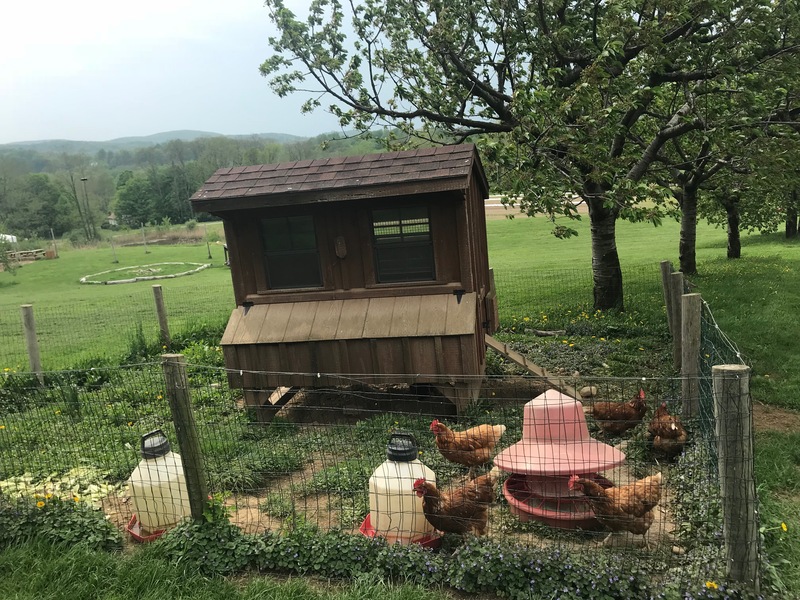 Outside the store, there are patios, plenty of picnic bench seating in various areas, a nature trail, and a chicken coop with a well-built homey structure for the chickens. The patio looks out onto the landscape of the farm, stretched onto hills amongst the background of the green and mountainous Hudson Valley. A grill and donut stall outside near the entrance add to the multi-purpose diversity of the farm to attract customers to not only buy its produce for household use, but also to sit down, relax, and enjoy food. 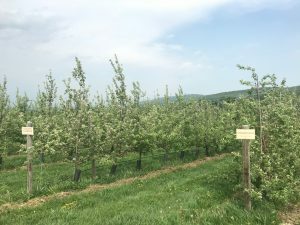 Additionally, the farm has a cut-out frame for people to take photos in front of the landscape; the frame is adorned with drawings of fresh produce, farm animals, and apple trees, reminding visitors of the bounty the farm possesses. 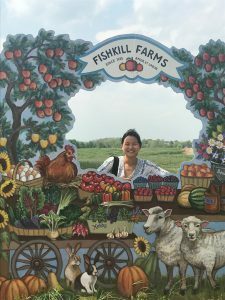 After talking to one of the salespeople at the farm store, she mentioned that while their CSA programs help to provide revenue during the winter months, it is the pick-your-own programs that have helped Fishkill Farms grow to what it has become. 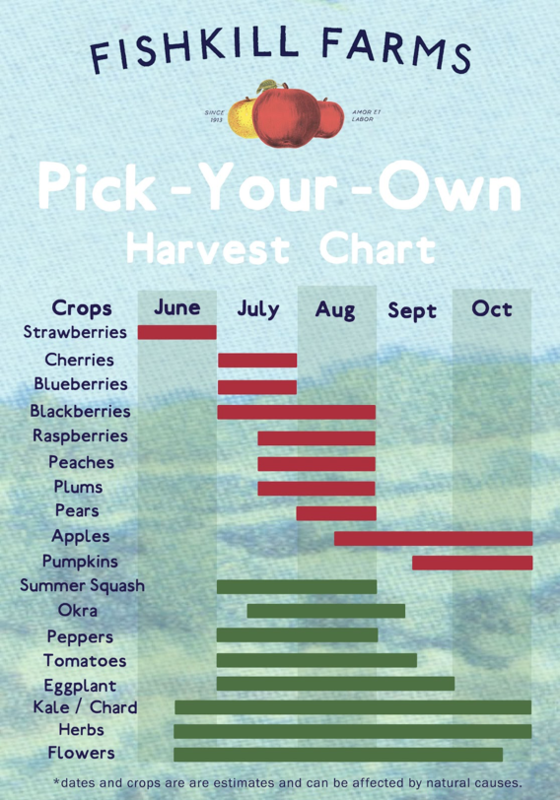 This program allows visitors to have freedom to select their own fresh produce from June to October straight from the farm. 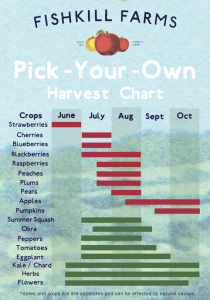 Fishkill Farms has a poster to show visitors when is the best time to pick seasonally fresh fruits and/or vegetables. 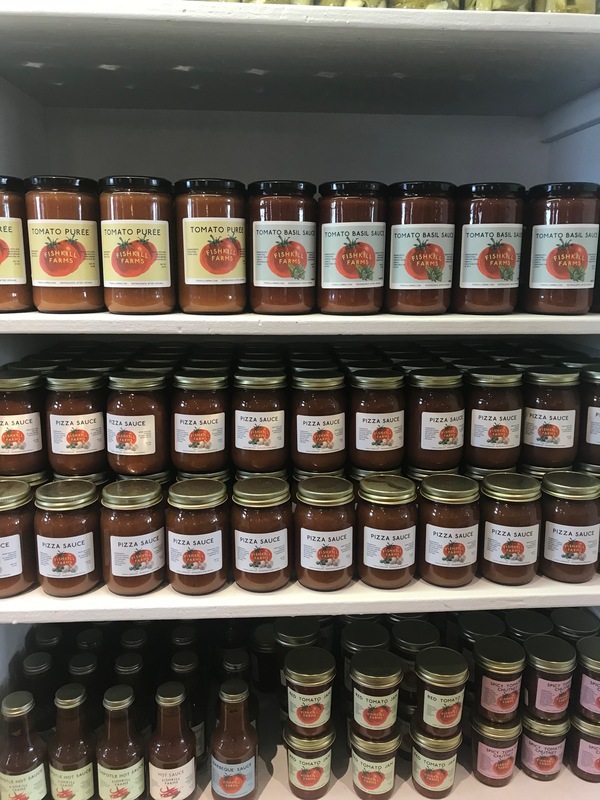 Along with that, the farm has ongoing events related to their food, such as jamming strawberries (on June 16th), or even lending its space for weddings, birthdays, or company retreats. An educational aspect is also included by allowing students to visit for field trips or work with the staff on the farm. 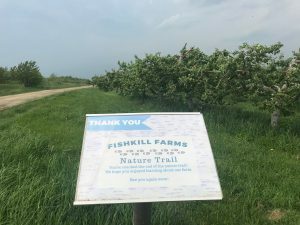 Overall, it seems that Fishkill Farms not only has a great structure in maintaining its agricultural products to be fresh, organic, and environmentally-sustainable, but also markets their farm as a go-to venue, especially for a short day to experience a nature while enjoying fresh food. 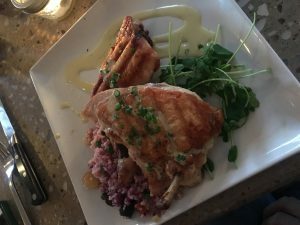 For my personal “farm visit,” I visited a farm-to-table restaurant with my family in order to gain some insight as to how local farmed food is served at an establishment that cooks with local ingredients (and also to eat a delicious meal). 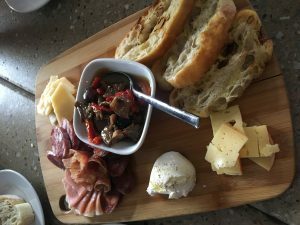 The restaurant I visited is called Nic L Inn Wine Cellar on the Hudson is located at 135 N Water St, Poughkeepsie, just up the street from the Hudson River. While we sat down, the owner of the restaurant came to the table to explain some information about their operation. 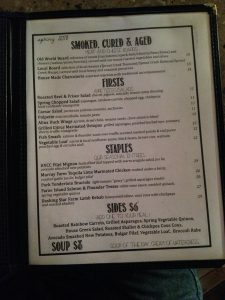 They proudly told us that they were a farm-to-table that used mostly local ingredients that are farm-fresh, and pointed out that various local farms were listed on the menu. 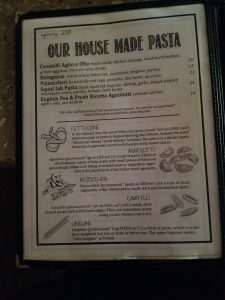 In addition to being a farm-to-table, the restaurant also made their own pasta, made their own in-house sausage, served local beer, etc. Their cheese board included three types of cheeses from Sprout Creek, including their Toussaint, Kinked, and Margie. The chicken I ordered came from Murray Farm in Fallsburg, NY. 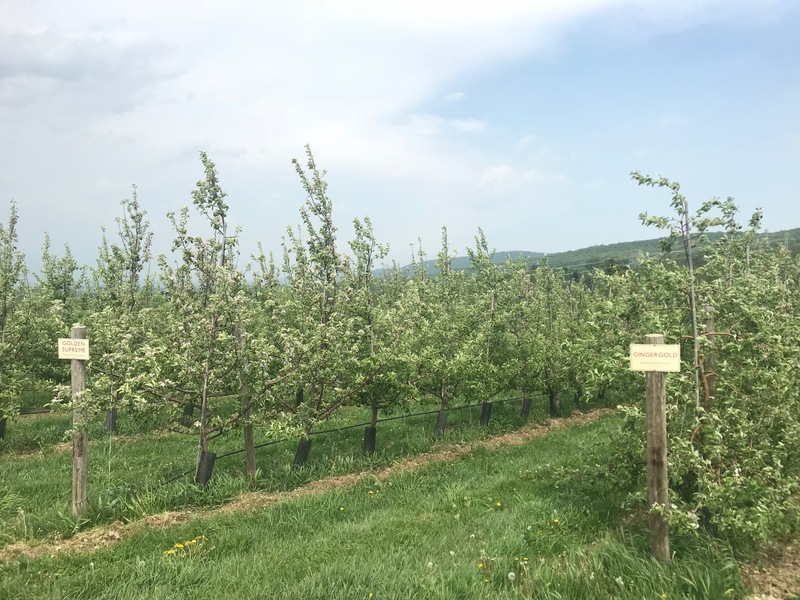 Other farms were listed next to some of their other dishes, including Dashing Star Farm from Millterton, NY, and the Hudson Valley Cattle Company from Woodridge, NY. 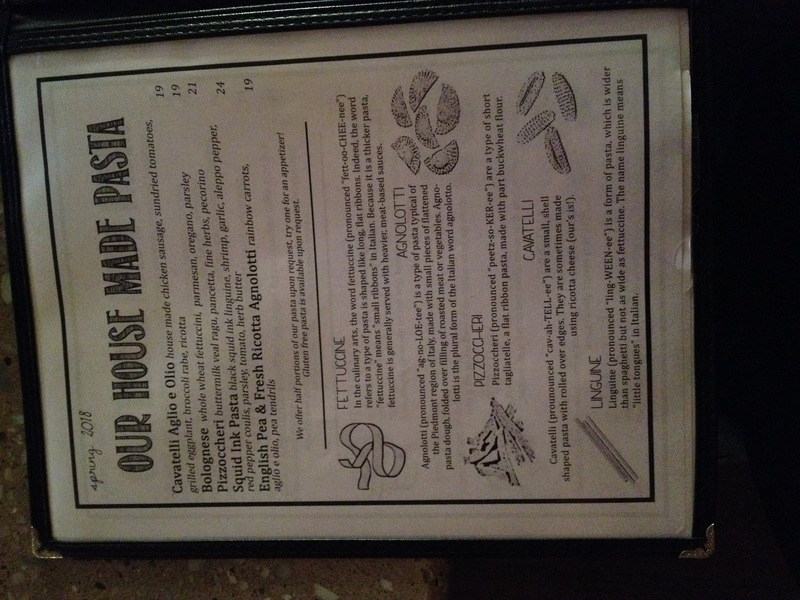 Their specials were written on a blackboard on the wall, which also listed other farm names. 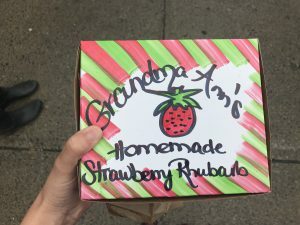 However, much of their produce was not listed as being from a specific farm, despite the owner’s claim of local ingredients. There was certainly an element of luxury to this type of establishment, which was very interesting to me. I often wondered throughout some of our farm visits: who is this food being grown for and served to? 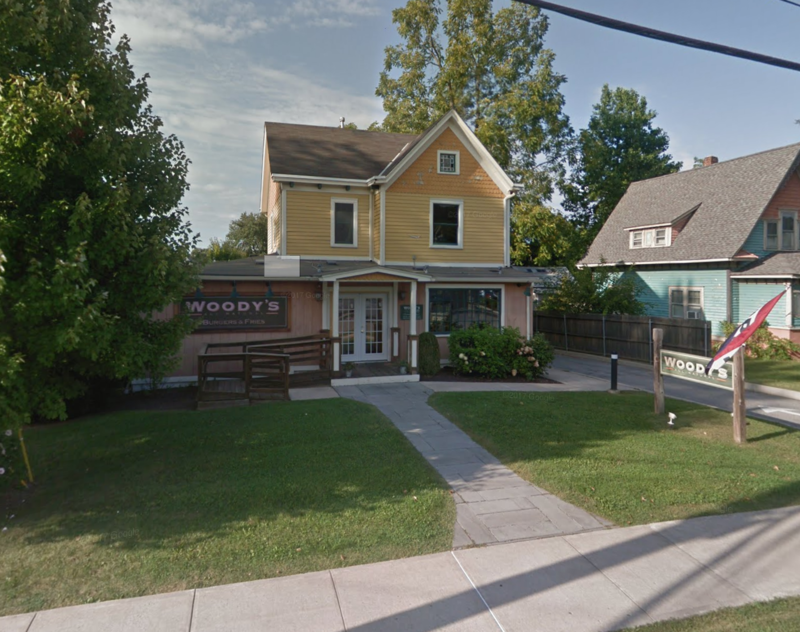 Farm-to-table dining, at least in this case, certainly did not seem financially accessible to a large portion of Poughkeepsie residents. 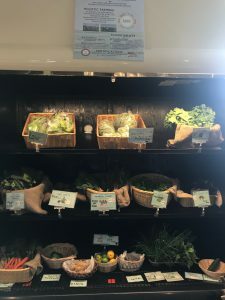 This, of course, brings up questions of fresh-food access that we have been discussing all semester, and reminds us that it is sometimes very difficult to make enough money farming without selling specialty products to higher-end buyers. Overall, the dining experience was wonderful and the service attentive. While I am torn about the high-end farm-to-table initiative, which makes no effort to make local food widely available, I appreciated the privilege of being able to consume local foods with my family and boyfriend while celebrating my 22nd birthday. 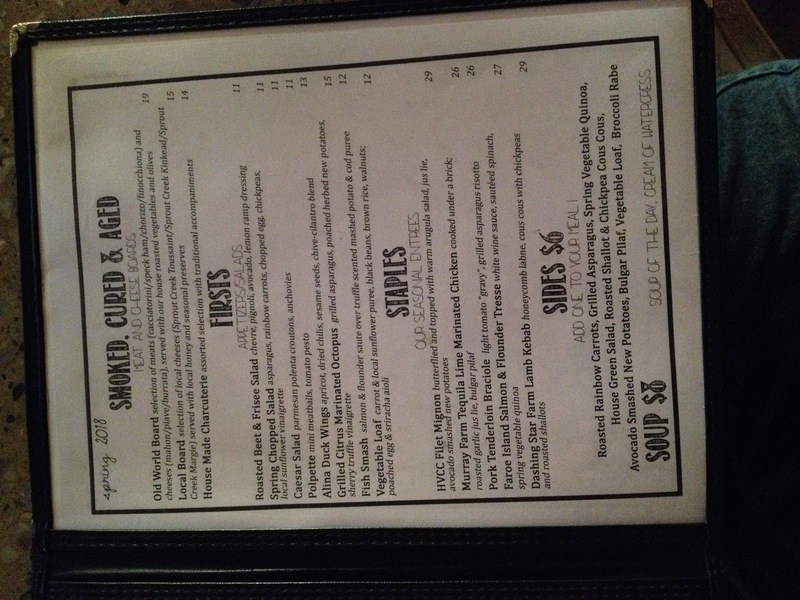 However, there was no doubt in my mind that this restaurant was more of a business model than it was in genuine support of sustainable, local, organic agriculture. Kading pauses. “Usually like the ten to twelve. Years. For a cow, a breeding cow,” she nods. The question is innocent, the moment only slightly awkward. Tonya Ingerson, my classmate, is a vegan. In the farm store, where we are surrounded by refrigerators of beef, pork and chicken, when I ask whether she’s angry, she replies that no, being surrounded by animal corpses evokes in her only sadness. Following Kading, we are shown not only JSK’s egg-laying chickens but their meat chickens (known as “broilers”) as well. They are pure white, and selectively bred to be lower to the ground and significantly fatter than their longer-lived relations. These chickens, Cornish Crosses, often drop dead of heart attacks; “They just can’t carry that weight,” Kading tells us. 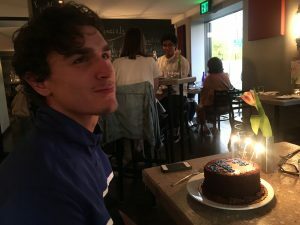 On Friday, April 28th, I rode along with the inimitable Ethan Pierce and several members of Vassar’s Outing Club, on what he called a farm crawl. It began with Shunpike Dairy, included a stop at Sprout Creek, and concluded at the Arlington Dunkin’ Donuts. 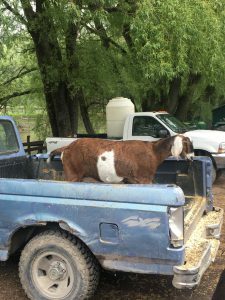 Of these stops, Shunpike was of interest in that our class, Field Experiences in the Hudson Valley, had never visited before, and in that Shunpike, a family dairy farm in Millbrook, offers raw milk. 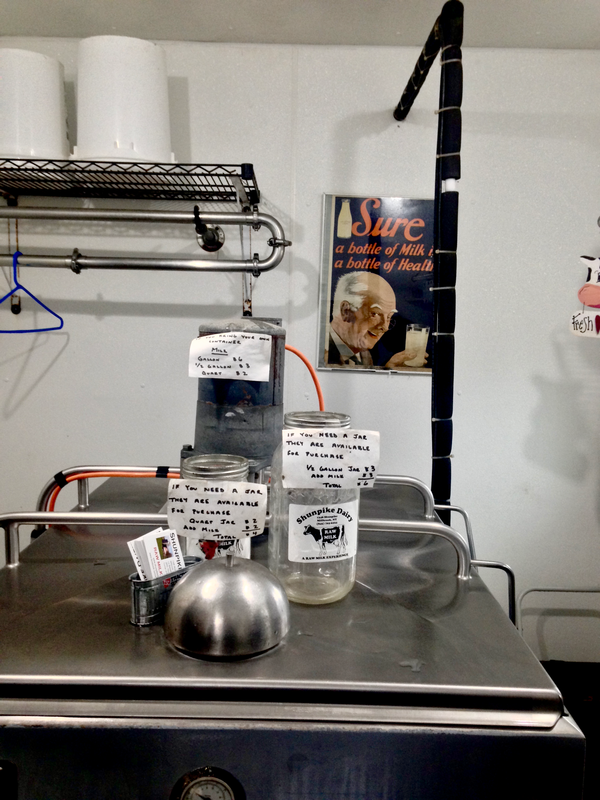 The product is featured prominently on the farm’s sign, and is housed in a cooling tank that occupies approximately half of the farm’s store, immediately adjacent to the dairy barn, which also sells cheese, eggs, honey, maple syrup, and mason jars in which to store the raw milk, should one have neglected to bring a vessel. 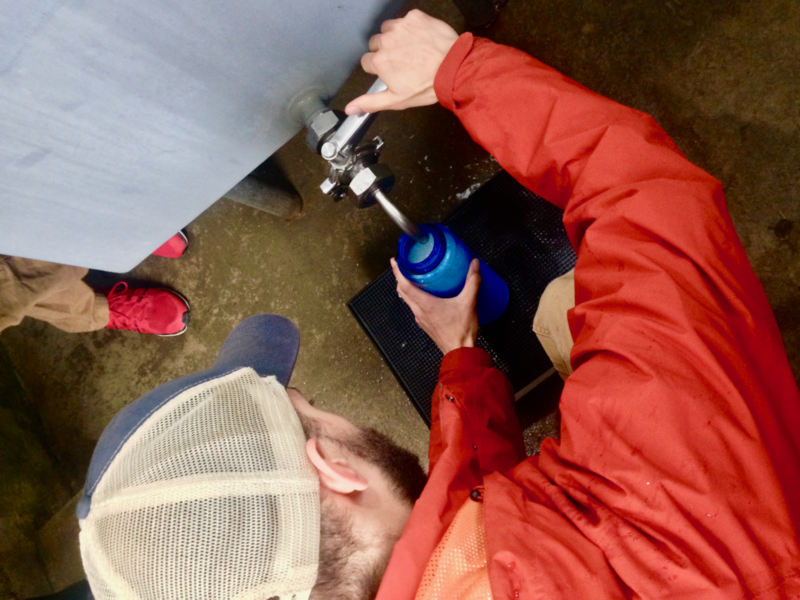 After the lot of us had crowded into the store, Ethan crouched, placing his reusable water bottle under the milk spigot, and filled it. The store operated under the honor system; while Shunpike’s proprietor forked hay into his cows’ feedpens, customers were instructed to pay by leaving money in another mason jar on the counter. The sale of raw milk is banned in fifteen US states. 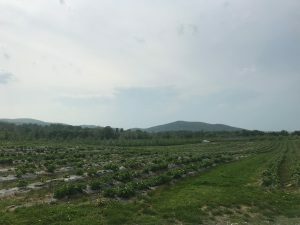 New York does not number among them, but retail sale of the product is outlawed; it’s strictly a direct-to-consumer affair, and even then farms must obtain a certification from the State Department of Agriculture & Markets. In order to get certified, Shunpike Dairy had to submit a sample to the Department of Milk Control & Dairy Services that was cleared for six species of bacteria (Salmonella enterica, Listeria monocytogenes, a Campylobacter, two strains of E. coli, and Staphylococcus aureus) and several other pathogens, after which it was declared safe for human consumption and, in 2010, the Dairy was issued a license to sell. These pathogens are those that the pasteurization process, the superheating of milk, was designed to preclude in the first place; the fact that the raw stuff is unhomogenized simply means that its surface is liable to form a film of accumulated cream. The CDC continues to warn consumers of the dangers of raw milk. 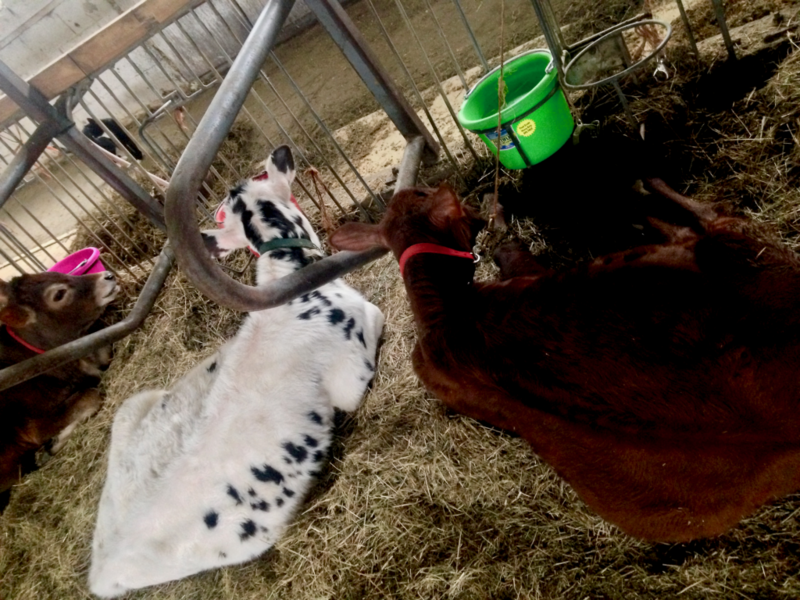 Even so, there is a thriving black market for the mass sale of raw milk in New York State. I confess: when I had a sip from Ethan’s bottle, I couldn’t tell it from the stuff that comes in cartons. This past weekend I went to visit the Catskill Animal Sanctuary with some fellow Vassar students, about a 45-minute drive across the river and north from campus. Since opening its facilities in 2001, the sanctuary has rescued over 5,000 animals from a wide variety of harmful (and generally near-fatal) conditions, and now takes care of them while also offering tours and education about what really happens behind the closed doors of factory farms and even small, local farms. 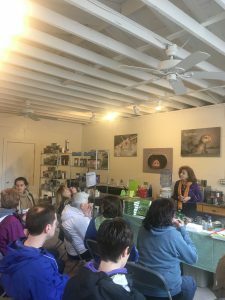 While I was there, they also were hosting a vegan cooking class featuring various leafy greens with the author of a cookbook. And there was free food, something I will never refuse! After trying some tasty dishes, we started our tour around the facilities. They’ve got over 300 acres in this property, but fortunately, we didn’t stray too far from where we started! 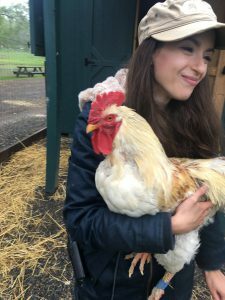 Our tour guide, Rocky, actually went to Vassar and was an active member of the Animal Rights C oalition (VARC) while she was on campus. Even though I myself have been vegan for three years now, she still taught me some amazing things that I still didn’t know. We checked out the chickens and a turkey they have there, and she told us that mother hens will actually “talk” to her chicks while they’re still in the egg, and–get this, it’s wild!–the chicks will talk to each other to coordinate when they’re going to hatch so that they all hatch within 24 hours of each other and will all be closer in development! Chickens are so amazing! And so cute and cuddly! I also learned that chickens naturally only are supposed to lay about 20 eggs per year, and the animal agriculture industry has them laying nearly one a day now–and as a result, chickens actually have very high rates of ovarian cancer and extremely poor quality-of-life because they’ve just been brought into e xistence to be machines of production. She showed us a couple bulls that they have on the premises too, and we learned about cows being selectively bred and raised for meat, and we also talked about dairy cows and how traumatizing it is for the mother cow to have her baby taken away from her (which nearly always happens within 48 hours of them being born). Rocky also showed us two different breeds of pigs, and told us how smart and actually clean they are. She told us about a documentary called “The Last Pig” which explores a phenomenon of the same name–basically, that “humane” slaughterhouses will take the pigs into slaughter one by one so they don’t see their peers get killed, but they actually do understand what’s happening, and by the time there’s one pig left, they’re extremely distraught and stressed, and sometimes will actually break their own legs trying to get out. I don’t know about you, but that truly broke my heart when I heard that. 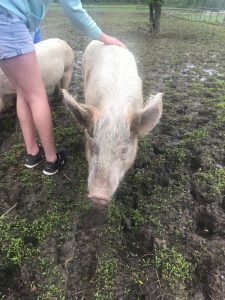 Pigs are so smart and are treated so awfully–don’t even get me started on gestation crates (I’ll let you Google that one yourself). 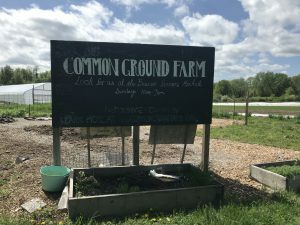 A Trip to Common Ground Farm! Common Ground Farm’s welcome sign. One sunny afternoon during study week, I decided to give myself a break from my endless research papers by taking a drive out to Common Ground Farm (CGF) with some friends. Located at the Stony Kill Farm Environmental Education Center in Wappingers Falls, New York, CGF is a haven for animal and plant enthusiasts alike. When we first pulled in, I was surprised at how well hidden it was from the main road. I had definitely passed it multiple times before when I visited Beacon, but I had never noticed it until now! After parking, we hopped out of the car and scoped out the landscape. We finally chose to explore a big red barn, which was apparently built in the early nineteenth century. Inside, we were greeted by a small interactive space designed for children—there were fun facts about how pigs smell, old black and white photos from when the barn was originally constructed, and much, much more. Behind another door were the farm animals. We pet a group of sheep (and their babies! ), observed chickens, and took pictures with the pigs. 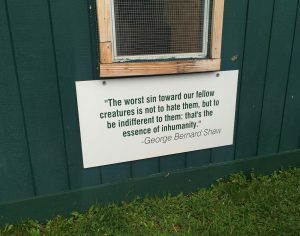 Once we had our share of the friendly animals, we strolled on over to CGF’s field space. We found even more chickens, and rows of flowers and vegetables. There were at least two greenhouses, one filled with burgeoning seedlings. We met two of the workers as they watered the seedlings and they told us about CGF’s regular tours they offer for the public. After observing the fields, we skirted past a flock of geese protecting their young (yikes!) and walked down to the pond, which sits at the entrance of the farm. We remarked at how historic the site was, and eventually headed out. Later on, I did some research and learned that CGF was created in Fall 2001, when a small group of people decided to bring their vision to life and start a 501(c)3 non-profit. 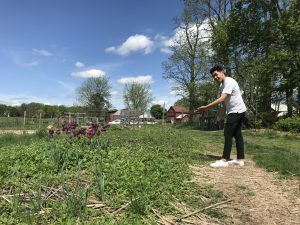 Nearly 17 years later, the farm is still dedicated to its food justice and educational programs. One of these programs is called the Common Greens Mobile Market. From July to September, a mini school bus painted green brings reduced-price, fresh produce to low-income neighborhoods in Beacon. The program even accepts WIC, FMNP, and EBT/SNAP. The bus was parked towards the entrance, so it was actually one of the first things we noticed! CGF also sells its produce at the Beacon Farmer’s Market (see Julia’s blog post) from May to November. Sometimes, they are staffed by members of the Green Teen Community Garden Program, which is a program that empowers urban youth by immersing them in local food systems. CGF and the Green Teen Program have a strong partnership. 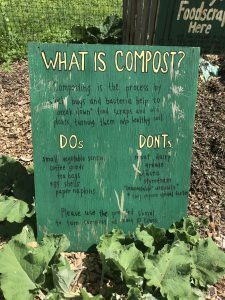 What the heck is compost? Other programs include educational activities and workshops for people of all ages—these include anything from a Community Indigo Project to a summer camp for kids. 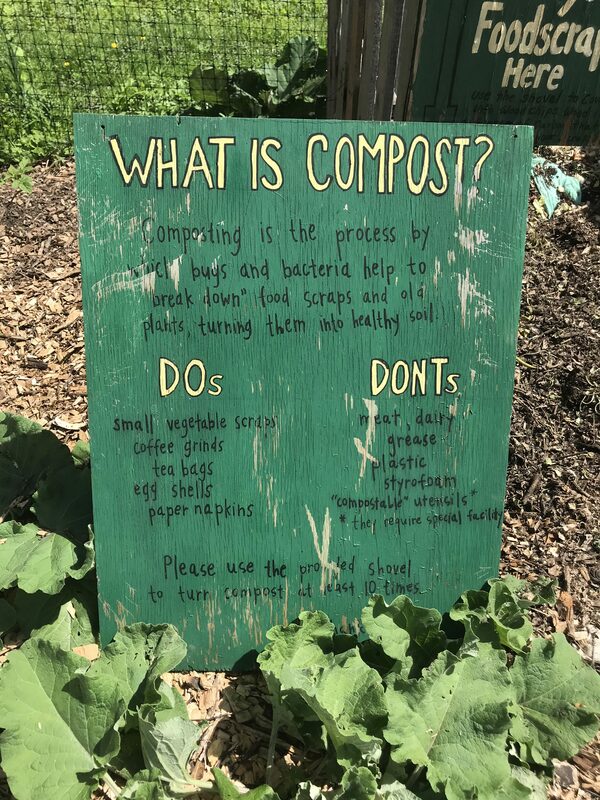 CGF’s educational presence was very obvious, as shown by this picture of a compost set-up with instructions and information. CGF is not certified organic, but they do adhere strictly to organic standards. They also sell wholesale to local restaurants and grocers. Visiting this farm was a great way to finish off ENST 291—I’m so glad I visited. You should, too! 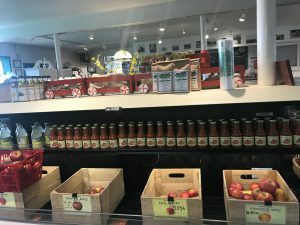 For my independent field trip, I went to the Beacon farmers market. Located right off of Main St., this farmers market operated by Common Ground farm operates year-round, and is open every Sunday. 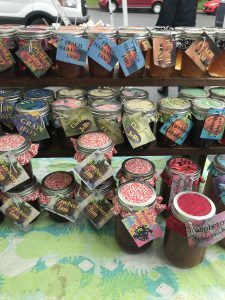 The fact that this market operates year-round is somewhat unique, and gives local farmers a consistent place to sell their goods. 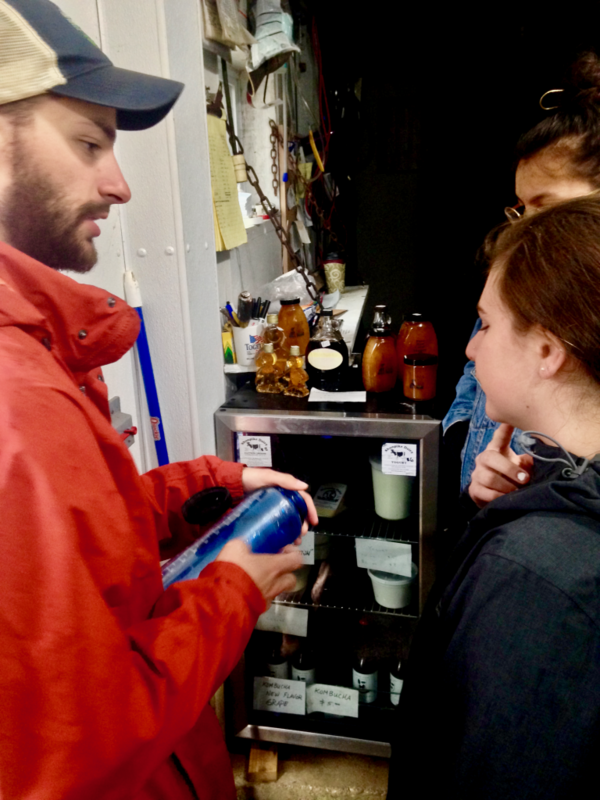 Despite the weather being rather cold and damp, there were still lots of people out to purchase local products at what I learned was a weekend staple of the town of Beacon. The market seemed to draw locals as well as outsiders like myself, as I saw some people having familiar conversations with vendors and others like myself seeing everything for the first time. 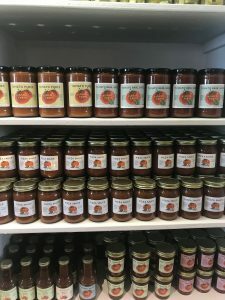 As it is still fairly early in the season and many fruits and vegetables are not yet ready for harvest, many of the vendors were bread and pastry sellers, prepared food sellers, or sellers of added-value products such as jams, pickles, and soaps as well as local wool products. There were also some interesting local products I had never heard of before, such as chocolate goat’s milk! 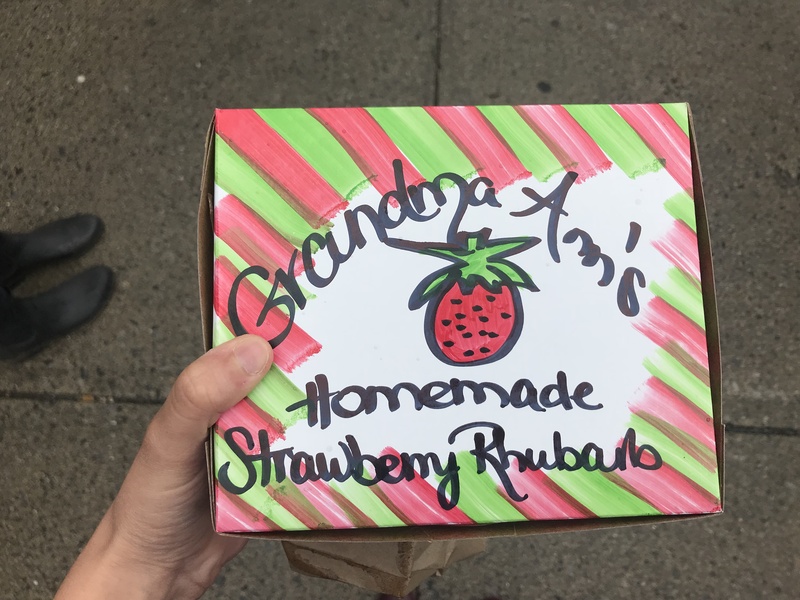 I stopped to buy a strawberry rhubarb pie from Wright’s farm stand, an operation based in Gardiner that was selling baked goods and beautifully packaged fruit preserves. I also stopped for a pastry from local Beacon business Bread Alone, who are one of the farmers market’s year-round vendors. The farmers market also seemed to partner with a weekly flea market taking place in the next door lot, which proved to have some interesting finds. The Beacon farmers market has some unique qualities that set it apart from other farmers markets that I’ve been to in the past. They have a compost collection stand run by local business Zero to Go, with the goal of making the market a zero-waste event each week. 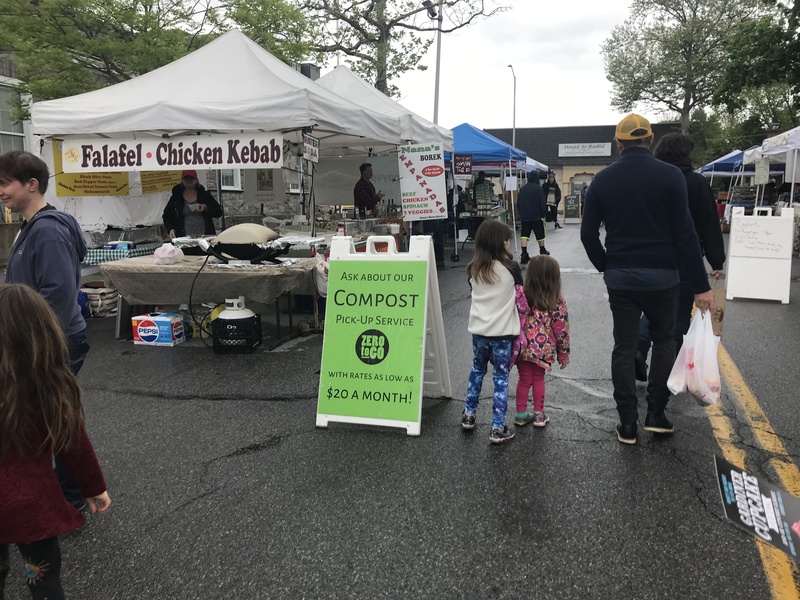 You can bring your compost to the farmers market for drop off, and Zero to Go also provides garbage and recycling bins to accurately sort and dispose of waste responsibly each week. 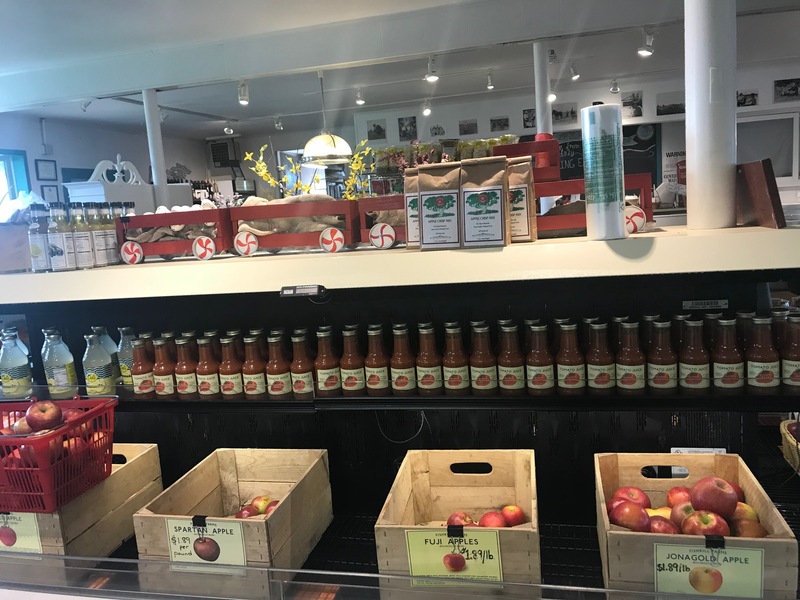 Additionally, the Beacon farmers market allows the use of food benefit programs, which helps make local agricultural products more accessible to a wider demographic, as traditionally local agricultural products are more expensive than their conventional, imported counterparts. Being able to use food benefits such as SNAP, WIC, or FMNP checks is a huge step forward for making locall-sourced nutritious fruits and vegetables available on a wider level. Additionally, people who use these benefits at the farmers market can get bonus coupons to spend at the market. For example, for every $5 spent through SNAP, one would receive an extra $2 Fresh Connect check to use at the market. The Beacon farmers market also has benefits for WIC and FMNP, a unique programs called Greens4Greens. Under this program, every $4 spent through WIC or FMNP awards the user a $4 coupon to buy fresh fruits or vegetables at the market. The Beacon farmers market struck me as a fine example for other farmers markets around the region to follow. In class we have often talked about how local produce is a difficult business for both the farmers who produce the food to maintain, as the demand for local products is often limited to certain demographics such as high-end restaurants or more upscale farmers markets. The use of food benefits at farmers market is a phenomenon that is just starting out, but the success of the Beacon farmers market is inspiring for the hopeful eventual spread of similar programs across the region and maybe even across the country. For more information on the farmer’s market, their website is available here . 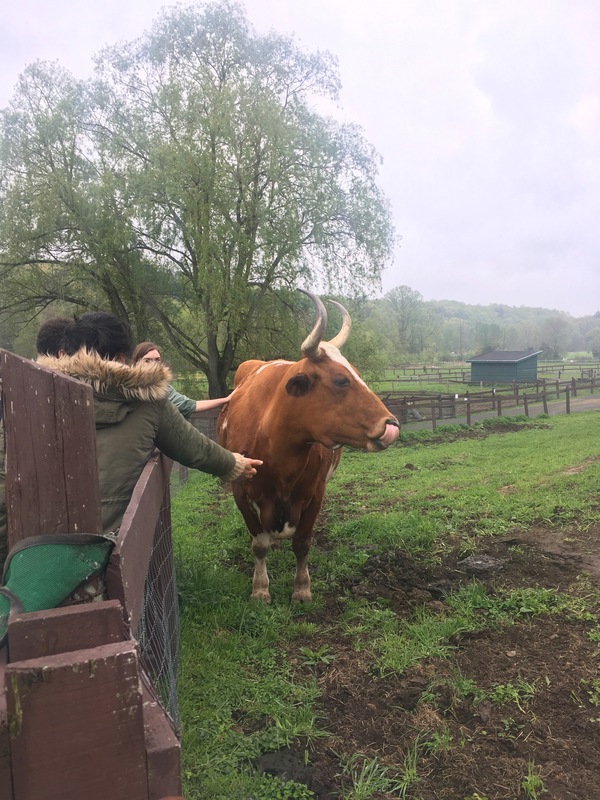 It was a rainy morning when all 7 of us Vassar students ventured off campus to explore agriculture in the local environment. Shunpike Dairy was our first stop of the day and will be the focus of this essay. We arrived at Shunpike after the 25 minute car ride and were greeted by a fairly typical small dairy set up. A small barn and adjacent farmstand were planted among faced wooden pastures on a gently sloping and slightly rocky landscape. Shunpike is a small local dairy that is family run out of Millbrook NY located near the Carry Institute. Shunpike’s heard holds an impressive variety of cows with e Milking Short Horns, Jerseys, Black Jerseys, Linebackers, Brown Swiss and even some Belted Galloways among their ranks. This variety of cow must produce a very interesting tasting milk, because each breed produces a slightly different type of milk as far a butterfat and nutrient richness go. 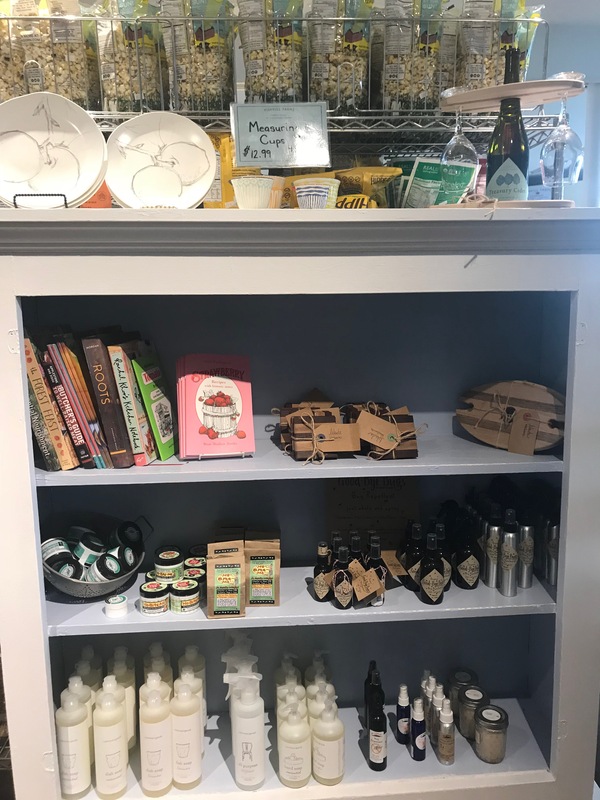 Shunpike also sells their own and other value added products at their farm stand having an excellent farmers cheese available as well as a hard cheese and another farm’s maple syrup. But the crux of Shunkpike is their raw milk. Raw milk is simply milk that hasn’t been pasteurized yet, the process used to eliminate the potentially harmful bacteria that can live in cows milk. Milk can become contaminated with these bacteria in a variety of ways, usually either the cow get an illness such as mastitius or through improper milking techniques. Mastitis is an infection of the utter that can usually be recognized by farmers observing and clumps, discoloration of blood in the milk or unusual sensitivity on a particular quarter (cow utters are divided into 4 sections called quarters, each with one teat). Cows who aren’t well cared for and are living in germ heavy environments are at higher risk for mastitis and their raw milk shouldn’t be consumed. Improper milking, milk transfer, milk storage, or general facilities could all also lead to the contamination of milk. During most milkings the cows teats are sterilized both before and after using hydrogen peroxide or iodine so make sure no bacteria are pulled off the teat into the milk, or have the chance to infect the teat for the 30 minutes it stays open after milking. 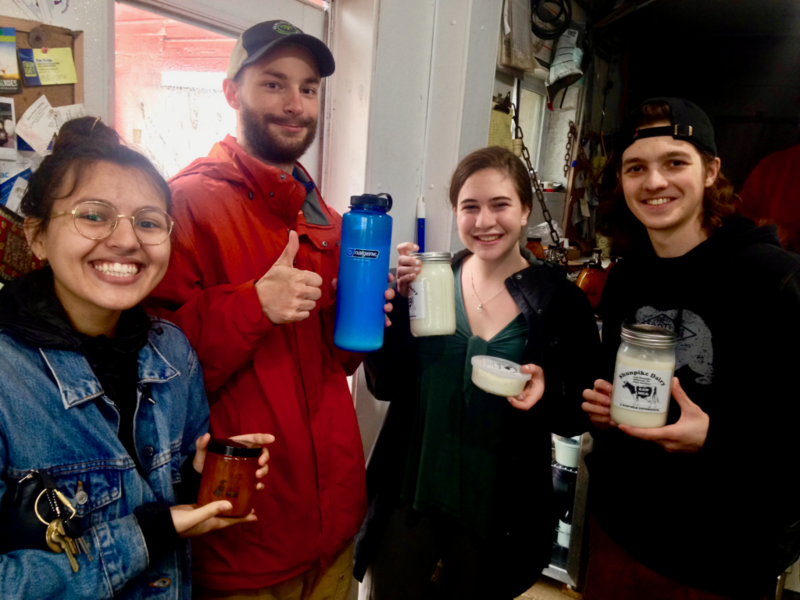 Drinking raw milk is certainly a risk, but it is not inherently unsafe, using best practices and keeping milk clean reduces the risk of infection and raw milk comes with many benefits including better taste, less processing, more profits going directly to small farmers and higher nutrient content to name a few. Shunpike and other small raw dairies are continuing to sell milk the way humans drank milk for thousands of years, and I for one very much appreciate that. The day concluded with visits to the Vassar Farm and Sprout Creek.